RING - SARAH COVENTRY. "TRIO" FROM 1971. 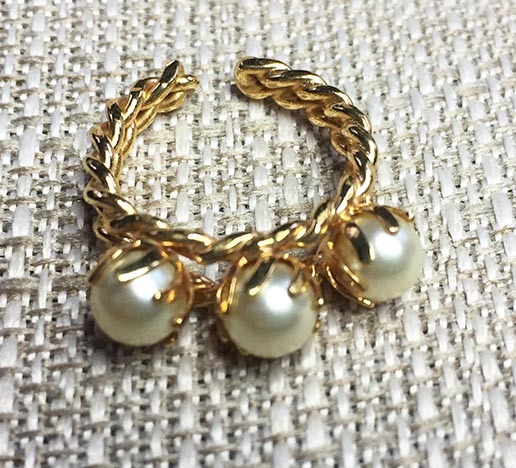 TWISTED GOLDTONE BAND WITH 3 CREAMY FAUX PEARLS. ADJUSTABLE - OPEN BACK. EXCELLENT CONDITION.